Not gonna lie — sometimes we have trouble choosing between our actual friends and Friends. Although the show may not be on the air anymore, we still have ten years-worth of seasons to watch. Plus, we can’t help but reminisce about the golden age of the show, when the gang was all hanging out and we got to live vicariously through them. In an interview on Off Camera with Sam Jones, Courteney Cox talks about her time on the show, saying over and over again how thankful she was for the experience, and every incredible opportunity it brought for her. "I just felt so fortunate, it was the greatest thing. All these opportunities opened up and we were so lucky. I was able to buy a house, it was just a perfect time I think." The actress goes on to say how even though things were really hard during that time, like her dad dying of cancer, the cast and crew were all great and supportive, making sure she got to spend as much time as she could with her dad before he passed. After a decade on set together, it makes sense that everyone bonded. Courteney says that even though everything changed because of the show, she still feels so fortunate that it happened. We love how grateful she is for the experience, and more than that, we’re grateful that we got to be a part of it. 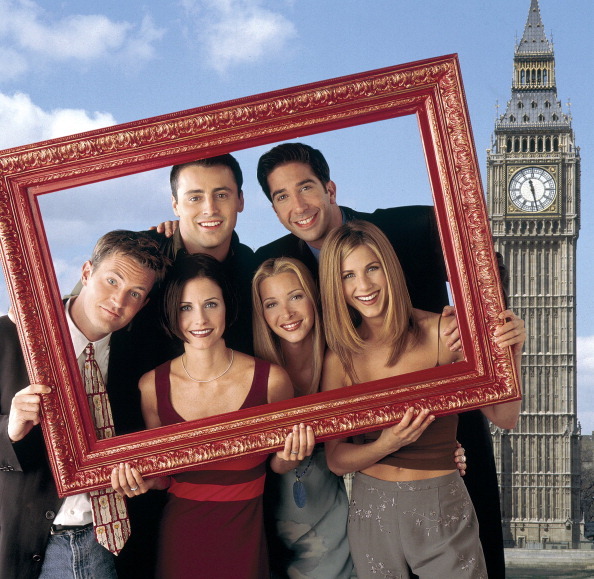 We’re thankful for Courteney, the cast of Friends, and of course, for reruns.